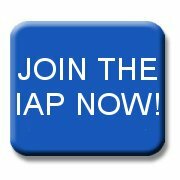 Members who are available for consulting work, full or part time, can publicise their services in the IAP’s Register of Consultants. Use the ‘Search Register’ facility below to locate them by Expertise, Town, County, Surname or Company Name. All consultants listed in the Register have satisfied the Institution’s member selection process, and are believed to be competent IT professionals. However, the Institution can provide no warranty in relation to specific services they may choose to offer. If you are a member of the Institution and would like your own entry listed on these pages please complete the form in the Members Area. If you discover a broken link e-mail the Web Master. Enter the first few characters in the relevant box and click search.